Ms. Gilday attended the College of Charleston in South Carolina as an undergraduate receiving a B.A. in Political Science in 2000. Ms. Gilday then attended Salmon P. Chase College of Law. Throughout law school, Ms. Gilday worked at The Lawrence Firm as a law clerk and joined the firm as an attorney upon graduation. Over the years, Ms. Gilday has successfully represented individuals and their families in medical negligence, personal injury, nursing home negligence and defective product cases. Ms. Gilday has been named a Super Lawyer Rising Star in Kentucky in 2013-2014 and 2014-2015. 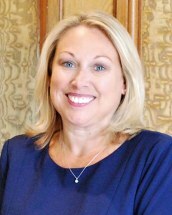 Ms. Gilday currently serves as a Board Member of the Ohio Association for Justice and the Southwest Ohio Trial Lawyers Association. Both are organizations that strive to preserve individuals’ Constitutional rights and protect access to the civil justice system through advocacy in the Courthouse and the Statehouse. In addition to her professional endeavors, Ms. Gilday is actively involved in volunteering with local charitable organizations. She serves on the Board of Directors for both of Dress for Success Cincinnati and Yes! Cincinnati, which strive to empower women to achieve economic independence by providing a network of support. Ms. Gilday grew up in Cincinnati and currently resides in Anderson Township with her husband.